We built a few AR500 plate carrier cumber in Kryptek Highlander for a company that specializes in Kydex. They had a range day to test out their gear as well as ours. 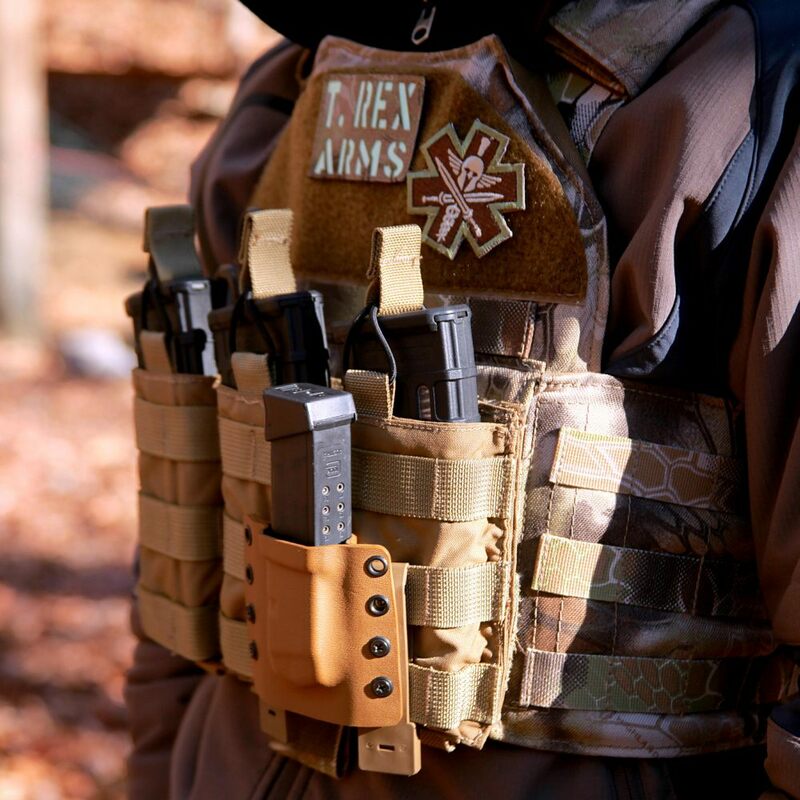 If you are looking for a tactical gear company that specializes in Kydex. You have to check these guys out. 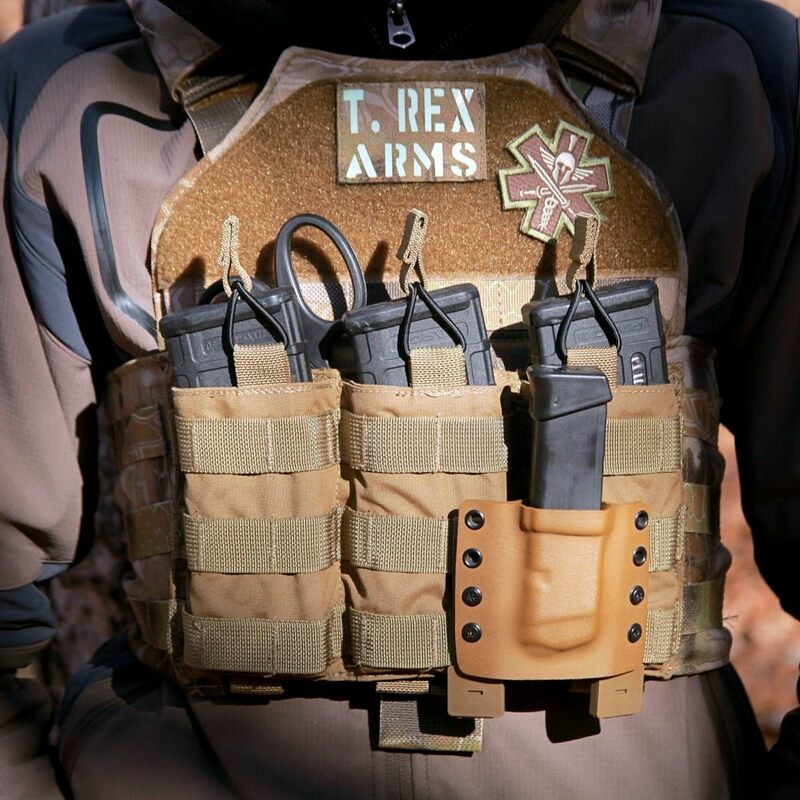 T.REX ARMS is a small company dedicated to providing Kydex solutions for carrying firearms, extra magazines, and other life-saving gear. 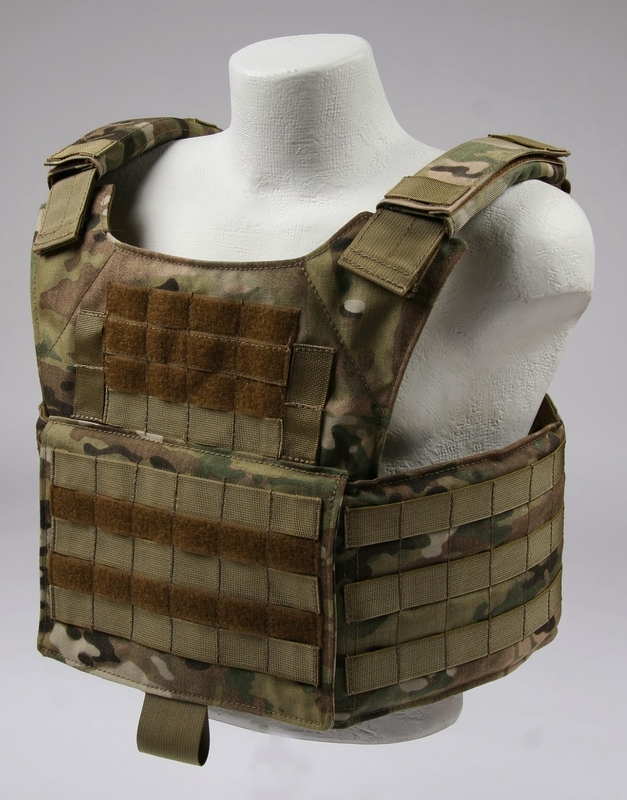 We have designed a Plate Carrier Cumber to work with Infidel Body Armor steel plates. The Infidel Body Armor Bellator Plate Carrier will be available late Feburay. 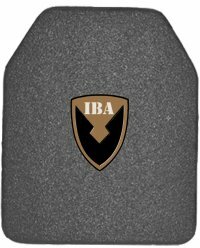 IBA is taking pre-orders for the carrier now. The full cumber PC has vertical webbing for attached of QASM buckles and two loop pieces across the front of the cumber flap to support compatible chest rigs like the D3 Haley rig. Shoulder pads provide additional comfort and cable/hydration tube routing. The drag handle in reinforced and low profile. 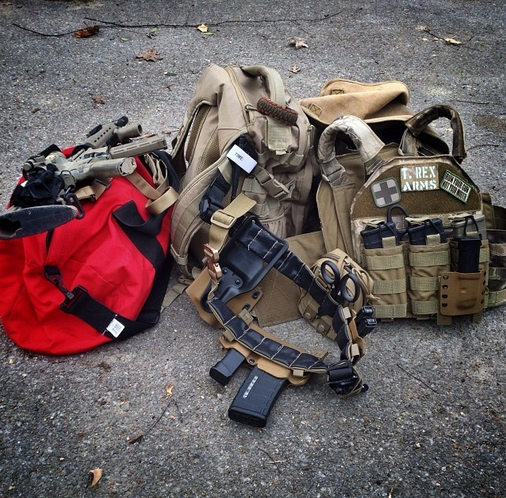 Check out Infidel Body Armor to get your hands on the new Bellator Plate Carrier and Plates. Us the discount code “BELLATOR” and get 5% off.